Ciara Quinlan has been with Whelan Solicitors since she qualified as a solicitor in 2005. She holds a BCL degree in Law from University College Cork. 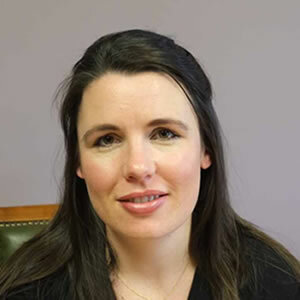 Ciara specialises in all aspects of property law and advising on lending in connection with property financing. She also practices in the areas of Family Law, District Court and Circuit Court Litigation and Debt Collection.